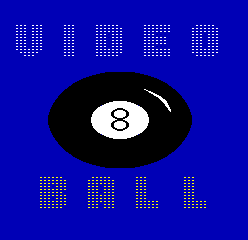 Video Eight Ball © 1982 Century Electronics. Pocket all the coloured balls then go for the black. 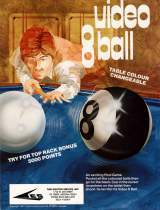 Cue in the cursor (anywhere on the table) then shoot. It's terrific! It's Video 8 Ball. Runs on CVS [Convertible Video System] Hardware.